3  should be allowed to use medical marijuana? 5  beyond her scope of knowledge. 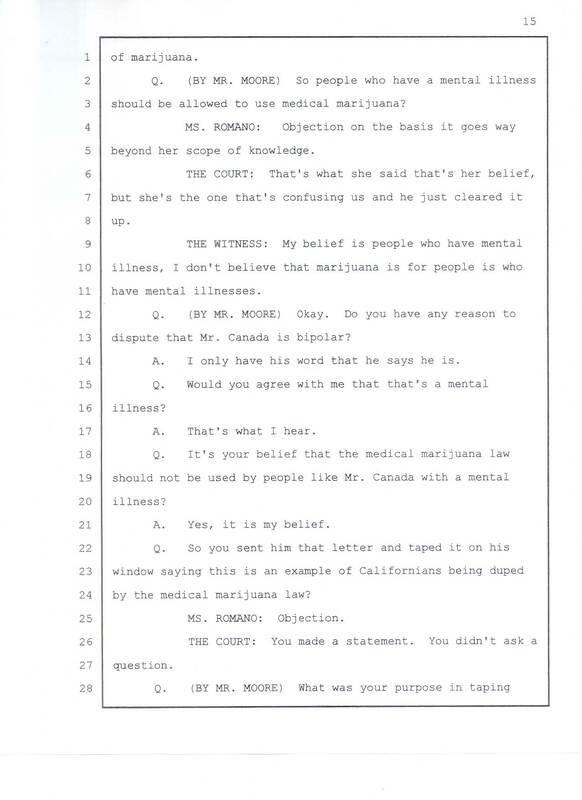 13 dispute that Mr. Canada is bipolar? 14 	A. 	I only have his word that he says he is. 17 	A. That's what I hear. 21 	A. Yes, it is my belief. 24 by the medical marijuana law?